Meet the Inner Cookie Party: a team of 6 game developers based in the Gründerwerkstatt (University of Applied Sciences), in the heart of Berlin, Germany. A collection of 3D and visual artists, creative developers, and sound designers, led by CEO Lars Dobschall, the group are the brains and toil behind an exciting new project–a dystopian MMO called Proles. One only has to glance at the script on their blog to see that a major source of inspiration for the game is George Orwell’s haunting novel, 1984, as well as Isaac Azimov’s science fiction classics, The Foundation Series. The influence of these works of literature can be seen in the name of the game: Proles refers to the working class of Oceania in Orwell’s novel and also the premise surrounding an omnipresent entity watching people’s every move. 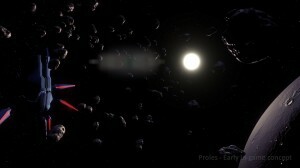 The team behind Proles, plan on running a Kickstarter in three-and-a-half months, and are currently working on bringing their game to Steam Greenlight. I spoke to creative director and developer, Mischa J.P Wasmuth. With so much work to do, it’s a miracle that I was able to get hold of Mischa for a chat about the team’s first project. Candy Lebby: I understand that a few of your inspirations for ‘Proles’ are from George Orwells 1984, and Asimov’s Foundation. Which aspects from these works did you want to draw most from? Secondly, what made you want to take those ideas and put them into a space shooter game? Mischa J.P. Wasmuth: Orwell’s magnificent 1984 really shines with the character of the omnipresent authority “Big Brother.” It supposedly sees and knows about everything through its many spies and never stops to tell the suppressed that, despite what they think they see and know, everything is fine and even the horrible war against the rest of the world is a good thing. We were always huge fans of sci-fi and dystopian stories, but the character of Big Brother is by far one of the best. The Foundation Series introduces and is based on the fictional science of psychohistory to determine how the future will most likely play out. This is achieved by combining history, sociology and statistics, all of which fortunately do exist. We had a few other inspirations, notably some popular anime, but all this made us thinking that maybe it could work in a game environment and why the heck it hasn’t been done yet. A lot of research later, we came to the conclusion that in fact, it had be done in games, but only a few of them were popular – like the Mass Effect or the Left 4 Dead series. They used this technique, called interactive storytelling, which has been around for many years and there are quite a lot papers about it out there. But that was not enough for us, we wanted not only the story to be influenced by the player, but also the gameplay itself. And this is why we created the Big Brother A.I.–not only is it present through its ships in the game itself, but it also sits “behind the scenes” and records what all players do and how they behave. And then it calculates how exactly the story should proceed from where it is and what possible changes to the gameplay should be made. This also mean that with a game reset on the servers the new “playthrough” would turn out differently. So far, everything works fine but it remains to see how all this works out with a lot of players–since it’s really difficult to simulate this. CL: What inspired the artwork for your space pods, the prison, Big Brother, etc.? MJPW: To be perfectly honest, we don’t really have strong inspiration sources for our artwork. The designs, especially for sci-fi spaceships, became a bit stale in the last few years, and it all kind of looks alike now. I often dislike the designs of human spaceships, they remind me of huge flying trash bins. So what we are trying to achieve is simple not to look like everything else, to give it all a fresh new touch – with a strong focus on the coolness factor rather than the paying attention to (too much) realism. But of course, we take a lot of ideas from everywhere. The thing is, there are so many talented artists out there, so it’s really easy to find some inspiration for a small concept (e.g., Big Brother is inspired by mecha heads from anime like Neon Genesis Evangelion and the surveillance drone takes after some reptiles). For future concepts I can definitely see a few spaceships and drones inspired by Asian design. CL: Your blog mentions that the game is a a free-to-play with micro transactions. How hard is trying to balance out the game so that transactions don’t become a “pay-money-to-win” system? MJPW: First thing’s first – the game is still in a very early development stage. So the balancing of the in-game items, etc. is only on paper now. But from the beginning, we only wanted to make money by selling pure cosmetic items… like a bobblehead figure on the main console, some pretty neon-green spaceship skin and whatnot. We are big gamers ourselves, and we strongly despise pay-to-win-games, this concept can and has already ruined a lot of good games. But on the other hand, we need (and want) to make money with our game, so we thought we’ll add a premium subscription which comes with a mobile app for managing drones, some in-game-comfort features to help manage a few thing, etc. But not paying for these extra services won’t put you at an disadvantage. Our biggest problem with this right now is that the EU has passed a law earlier this year stating that all revenues for digital services must be taxed at the buyer’s country of origin. We currently don’t know how this change will affect our business model, and the best thing right now is to wait a few month more until this new law has done had effect on digital merchandise distribution and then to rethink the whole marketing model. CL: You and the team were lucky enough to receive a grant to help with the production of Proles. How did you come across that, and how has it helped you make the vision a reality? MJPW: It was at the end of our master studies. We got the idea for Proles and saw that there was a class about founding start-ups. There, we learned about this grant from our university and we just applied. We honestly never thought we’d get it, we had never written a business plan before, and we didn’t think ours was any good (although we got a lot of help). A few months later, when we had already given up hope, we unexpectedly got a reply that we–yes, we–were accepted and had to come in for the final presentation. Since then, we’ve been happily sitting in the Gründerwerkstatt of the Beuth Hochschule für Technik Berlin (University of Applied Sciences) and working on Proles–now with 6 more months of funding. CL: What do you think makes Proles different from any other space shooter out there? MJPW: I’d say that our approach on the adaptive gameplay and story is something that should get Proles some attention. Hopefully a few other features as well, but this is what started everything for us, this is what we really want to see in a multiplayer game. Being able to do what you want is one of the perks of being an indie game dev, another on is that other games don’t really act as direct competition, but rather they hype and support similar games. We try less to distinguish Proles from other space shooters out there, but more to find what already has been done and works well and to put it into a game. CL: Have you and the Inner Cookie Party made any games prior to Proles, or had any ideas? MJPW: Nah, unfortunately not. Lars, my business partner and good friend with whom I founded the company, and I just graduated with Master’s degree last year, so we still are “freshmen.” But I already have a few years experience in the game development business–I worked for a few other start-ups here in Berlin–and Lars has also already worked for a few companies out there. 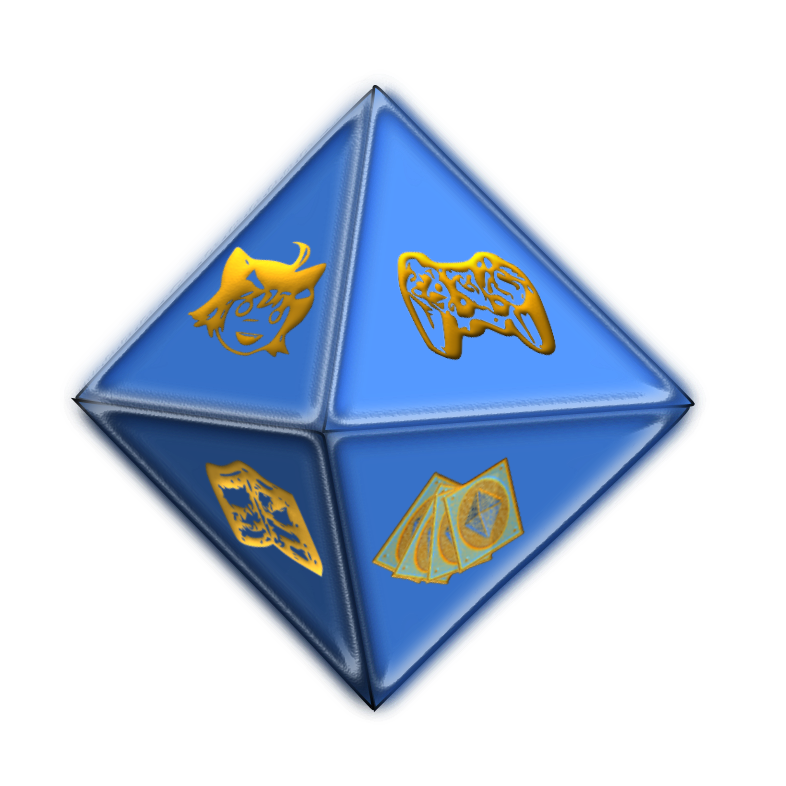 And since we’ve been coding since we were little kids, we feel pretty confident that we can at least pull ourselves and Proles to a showable and playable version. And we will see how we proceed from there on. 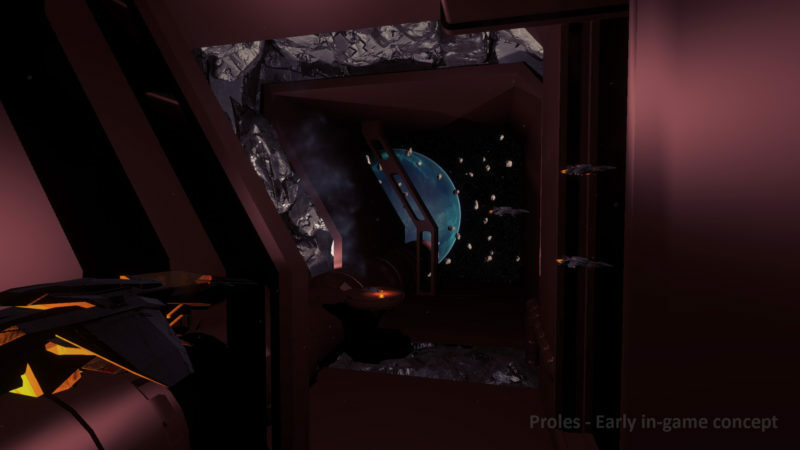 You can check out any updates on Proles here, and why not follow their Twitter account for lots of screenshots and updated information on features? And of course, check back here at The G.A.M.E.S. Blog for more updates!